Clifford S. Kachline (1921-2010) left an indelible mark on the world of baseball research. For 24 years he worked at The Sporting News, writing hundreds of features and articles and editing many of their standard reference works. After the death of Lee Allen, in 1969 he became the official historian at the National Baseball Hall of Fame, a post he held for 14 years while working tirelessly with major league teams to secure archives and records that otherwise would have been thrown out. He also was a founding member of SABR in 1971, and became its first Executive Director in 1982. He was a stickler for the exactness of baseball records, and doggedly worked to get records corrected, from Rube Waddell's 1904 strikeout total to Hack Wilson's 1930 RBI figure. 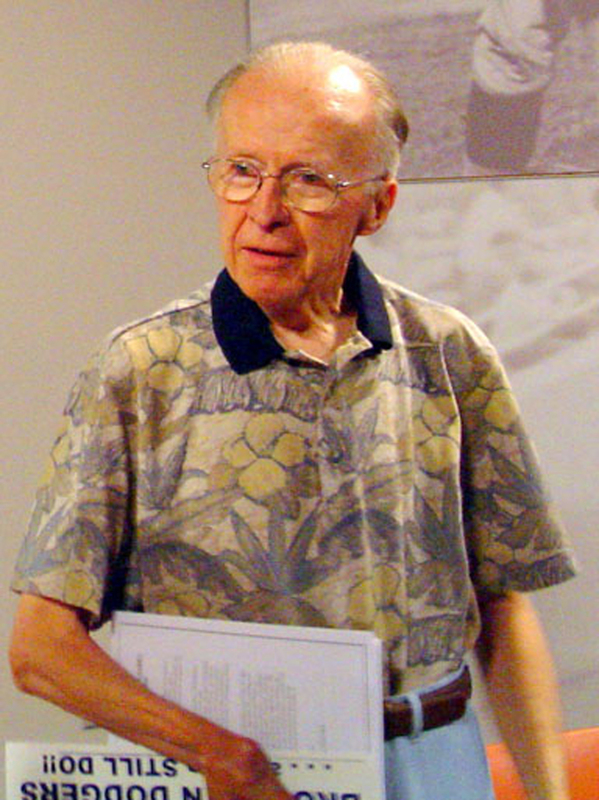 Cliff's contacts within the game helped countless researchers over the years, and he was helping them right up until his death in 2010.